Calibration is a gaping void in many published workflows. How can we move past "that red blob looks like a point bar so I drew a line around it in PowerPoint" to "there's a 70% chance of finding reservoir quality sand at that location"? It's fun playing with attributes, and you can make hundreds without a second thought. Some of them look pretty interesting, geological even. "That looks geological" is, however, not an attribute calibration technique. You have to prove it. Nobody will be around when we find out the answer. There's a good chance that well will never be drilled, but when it is, you'll be on a different project, in a different company, or have left the industry altogether and be running a kayak rental business in Belize. The bar is rather low. The fact that many published examples of attribute analysis include no proof at all, just a lot of maps with convincing-looking polygons on them, and claims of 'better reservoir quality over here'. This is getting discouraging. Let's look at an example. Now, it's hard to present this without seeming over-critical, but I know these gentlemen can handle it, and this was only a magazine article, so we needn't make too much of it. But it illustrates the sort of thing I'm talking about, so here goes. While coherence shows the edges of the channel, it gives little indication of the heterogeneity or uniformity of the channel fill. Notice the clear definition of this channel on the [texture attribute — homogeneity]. We interpret [the] low homogeneity feature [...] to be a point bar in the middle of the incised valley (green arrow). This internal architecture was not delineated by coherence. The attribute incompletely represents the internal architecture of the channel. The labeled feature on the texture attribute is a point bar. Forward modeling — the best way to tune your intuition is to make a cartoonish model of the earth (2D, isotropic, homogeneous lithologies) and perform a simplified seismic experiment on it (convolutional, primaries only, noise-free). Then you can compare attribute behaviour to the known model. 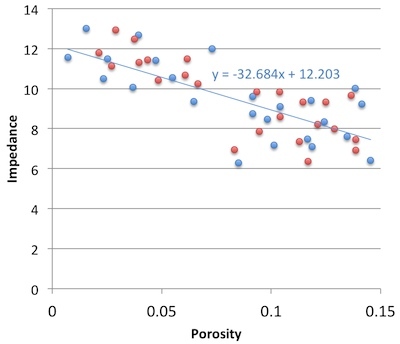 Calibration — you are looking for an explicit, quantitative relationship between a physical property you care about (porosity, lithology, fluid type, or whatever) and a seismic attribute. A common way to show this is with a cross-plot of the seismic amplitude against the physical property. The relationship produces a lot of type I errors (false positives). It produces a lot of type II error (false negatives). It works at some wells and not at others. You can't reproduce it with a forward model. You can't explain it with physics. As the industry shrivels and questions — as usual — the need for science and scientists, we have to become more stringent, more skeptical, and more rigorous. Doing anything else feeds the confirmation bias of the non-scientific continent. Because it says, loud and clear: geoscience is black magic. The image is part of the figure from Chopra, S and K Marfurt (2014). Extracting information from texture attributes. AAPG Explorer, April 2014. It is copyright of the Authors and AAPG. A question on Stack Exchange the other day reminded me of the black magic feeling I used to have about attribute analysis. It was all very meta: statistics of combinations of attributes, with shifted windows and crazy colourbars. I realized I haven't written much about the subject, despite the fact that many of us spend a lot of time trying to make sense of attributes. Timeslice. Often the most basic top-down view is a timeslice, because they are so easy to make. This is often where attribute analysis begins, but since timeslices cut across stratigraphy, not usually where it ends. Horizon. If you're interested in the properties of a strong reflector, such as a hard, karsted unconformity, maybe you just want the instantaneous attribute from the horizon itself. Zone. If the horizon was hard to interpret, or is known to be a gradual facies transition, you may want to gather statistics from a zone around it. Or perhaps you couldn't interpret the thing you really wanted, but only that nice strong reflection right above it... maybe you can bootstrap yourself from there. Interval. If you're interested in a stratigraphic interval, you can bookend it with existing horizons, perhaps with a constant shift on one or both of them. Proportional. 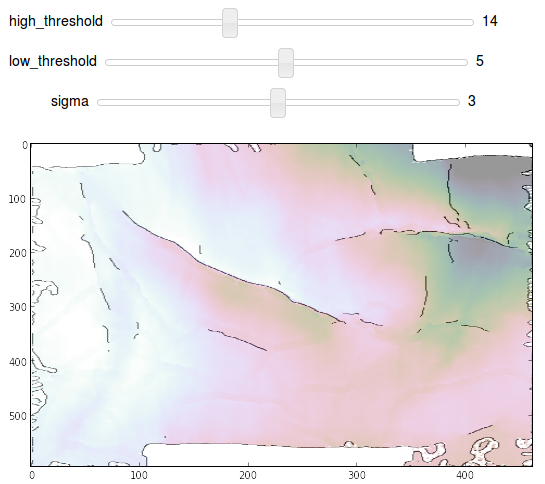 If seismic geomorphology is your game, then you might get the most reasonable inter-horizon slices from proportionally slicing in between stratigraphic surface. Most volume interpretation software supports this. There are some caveats to simply choosing the stratigraphic interval you are after. Beware of choosing an interval that strong reflectors come into and out of. They may have an unduly large effect on most statistics, and could look 'geological'. And if you're after spectral attributes, do remember that the Fourier transform needs time! The only way to get good frequency resolution is to provide long windows: a 100 ms window gives you frequency information every 10 Hz. When you extract an attribute, say amplitude, from a trace, it's easy to forget that the software has to do some approximation to give you an answer. This is because seismic traces are not continuous curves, but discrete series, with samples typically every 1, 2, or 4 milliseconds. Asking for the amplitude at some arbitrary time, like the point at which a horizon crosses a trace, means the software has to interpolate between samples somehow. Different software do this in different ways (linear, spline, polynomial, etc), and the methods give quite different results in some parts of the trace. Here are some samples interpolated with a spline (black curve) and linearly (blue). The nearest sample gives the 'no interpolation' result. As well as deciding how to handle non-sampled parts of the trace, we have to decide how to represent attributes operating over many samples. In a future post, we'll give some guidance for using statistics to extract information about the entire window. What options are available and how do we choose? Do we take the average? The maximum? Something else? This article was about single-trace attributes at single instants or over static windows. Multi-trace and volume attributes, like semblance, curvature, and spectral decomposition, need a post of their own. There are a million attributes (though only a few that count, just ask Art Barnes) so choosing which ones to use can be a challenge. Criteria range from what software licenses you have to what is physically reasonable. Because there are a million attributes, the art of combining attributes with statistical methods like principal component analysis or multi-linear regression needs a look. This gets into seismic inversion. We'll return to these ideas over the next few weeks. If you have specific questions or workflows to share, please leave a comment below, or get in touch by email or Twitter. We're at the SciPy 2014 conference in Austin, the big giant meetup for everyone into scientific Python. 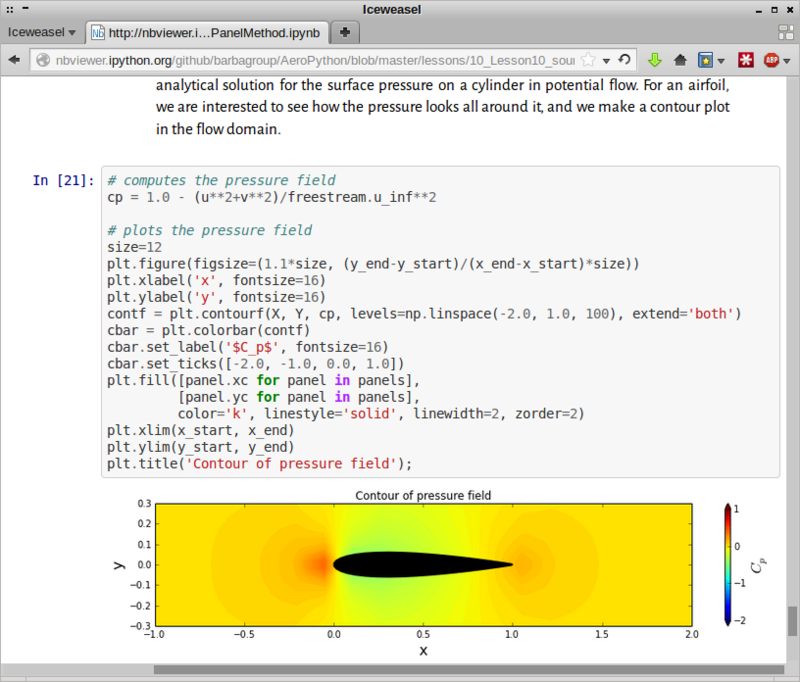 There's really nothing you can't do in the scientific Python ecosystem, but this isn't why SciPy will soon be everywhere in science, including geophysics and even geology. I think the reason is IPython Notebook, and new web-friendly ways to present data, directly from the computing environment to the web — where anyone can see it, share it, interact with it, and even build on it in their own work. In Tuesday's keynote, Lorena Barba, an uber-prof of engineering at The George Washington University, called IPython Notebook the killer app for teaching in the STEM fields. She has built two amazing courses in Notebook: 12 Steps to Navier–Stokes and AeroPython (right), and more are on the way. Soon, perhaps through Jupyter CoLaboratory (launching in alpha today), perhaps with the help of tools like Bokeh or mpld3, the web versions of these notebooks will be live and interactive. Python is already the new star of teaching computer science, web-friendly super-powers will continue to push this. Can you imagine a day when geoscientists wield these data analysis tools with the same facility that they wield other interpretation software? With the same facility that scientists in other disciplines are already wielding them? I can, and I get excited thinking about how much easier it will be to collaborate with colleagues, document our workflows (for others and for our future selves), and write presentations and papers for others to read, interact with, and adapt for their own work. If you agree that it's needed, I want to ask: What traditions or skill gaps are in the way of this happening? How can our community of scientists and engineers drive this change? If you disagree, I'd love to hear why. Here's Lorena Barba's keynote talk on reproducibility, the flipped classroom, and teaching with Notebooks. Skip to 11:30 for the start of Lorena's talk. So phase describes the starting point as an angle, but notice that this manifests itself as an apparent lateral shift in the waveform. For seismic data, this means a time shift. More on this later. We know seismic signals are not so simple — they are not repetitive oscillations — so why do the words amplitude, frequency and phase show up so often? Aren't these words horribly inadequate? Not exactly. Fourier's methods allow us to construct (and deconstruct) more complicated signals by adding up a series of sine waves, as long as we get the amplitude, frequency and phase values right for each one of them. The tricky part, and where much of where the confusion lies, is that even though you can place your finger on any point along a seismic trace and read off a value for amplitude, you can't do that for frequency or phase. The information for those are only unlocked through spectroscopy. Phase shifts or time shifts? 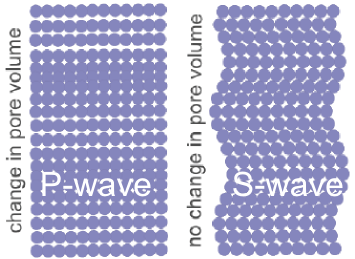 The Ricker wavelet is popular because it can easily be written analytically, and it is comprised of a considerable number of sinusoids of varying amplitudes and frequencies. We might refer to a '20 Hz Ricker wavelet' but really it contains a range of frequencies. The blue curve shows the wavelet with phase = 0°, the purple curve shows the wavelet with a phase shift of π/3 = 60° (across all frequencies). Notice how the frequency content remains unchanged. So for a seismic reflection event (below), phase takes on a new meaning. It expresses a time offset between the reflection and the maximum value on the waveform. When the amplitude maximum is centered at the reflecting point, it is equally shaped on either side — we call this zero phase. Notice how variations in the phase of the event alter the relative position of the peak and sidelobes. The maximum amplitude of the event at 90° is only about 80% of the amplitude at zero phase. This is why I like to plot traces along with their envelope (the grey lines). The envelope contains all possible phase rotations. Any event whose maximum value does not align with the maximum on the envelope is not zero phase. Understanding the role of phase in time series analysis is crucial for both data processors aiming to create reliable data, and interpreters who operate under the assertion that subtle variations in waveform shape can be attributed to underlying geology. Waveform classification is a powerful attribute... but how reliable is it? In a future post, I will cover the concept of instantaneous phase on maps and sections, and some other practical interpretation tips. If you have any of your own, share them in the comments. Liner, C (2002). Phase, phase, phase. The Leading Edge 21, p 456–7. Abstract online. These mysterious quantities λ and µ are Lamé's first and second parameters. They are intrinsic properties of all materials, including rocks. Like all elastic moduli, they have units of force per unit area, or pascals [Pa]. Matt and I have spent several hours discussing how to describe lambda. 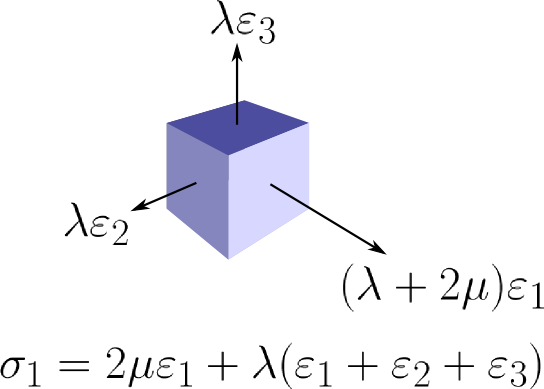 Unlike Young's modulus E, or Poisson's ratio ν, our friend λ does not have a simple physical description. Young's modulus just determines how much longer something gets when I stretch it. Poisson's ratio tells how much fatter something gets if I squeeze it. But lambda... what is lambda? Goodway, B., 2001, AVO and Lame' constants for rock parameterization and fluid detection: CSEG Recorder, 26, no. 6, 39-60. I shared this post on the Rock Physics discussion group on LinkedIn, and it garnered a good response from the usual online contributors. As Colin Sayers states in the comments below, Lambda has no physical meaning. It is first and foremost a mathematical contrivance to make equations in continuum mechanics simpler. Which raises a few important questions. Why do we invert seismic data for impedances, then algebraically rearrange them for a non-physical parameter such as Lambda.Density? Are we misrepresenting physics by spinning it into something that is seems intuitive, when really it is not? Judging from the comments on LinkedIn, it appears that my post touched on all the major elements of Lambda, without going into all of the math. Some claim it is an important property for discriminating fluid types in a reservoir, others say it doesn't contain any more information than P-impedance and S-impedance. It is a little worrysome that the discussion is torn. If we can't even agree on it's utility, does that tell us that it is not very remarkable?